By David Masci, who is a senior writer/editor focusing on religion at Pew Research Center. Tuesday, February 12th, is the 210th anniversary of Charles Darwin’s birth, a day now celebrated by some as Darwin Day. Darwin is best known for his theory of evolution through natural selection. When Darwin’s work was first made public in 1859, it shocked Britain’s religious establishment. 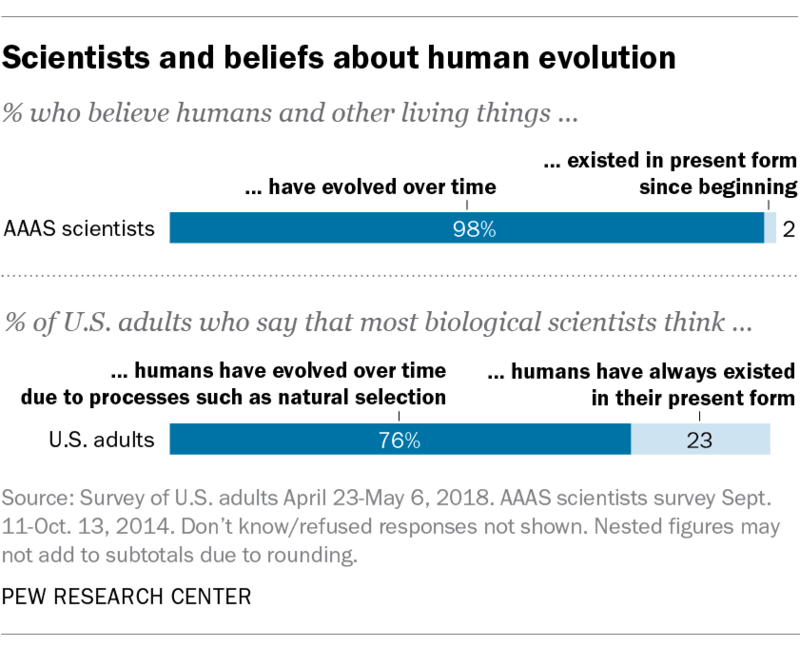 And while today it is accepted by virtually all scientists, evolutionary theory still is rejected by many Americans, often because it conflicts with their religious beliefsabout divine creation. 4A series of court decisions have prohibited the teaching of creationism or intelligent design in public schools. In spite of efforts in many American statesand localities to ban the teaching of evolution in public schools – or to teach alternatives to evolution – courts in recent decades have consistently rejected public school curricula that veer away from evolutionary theory. 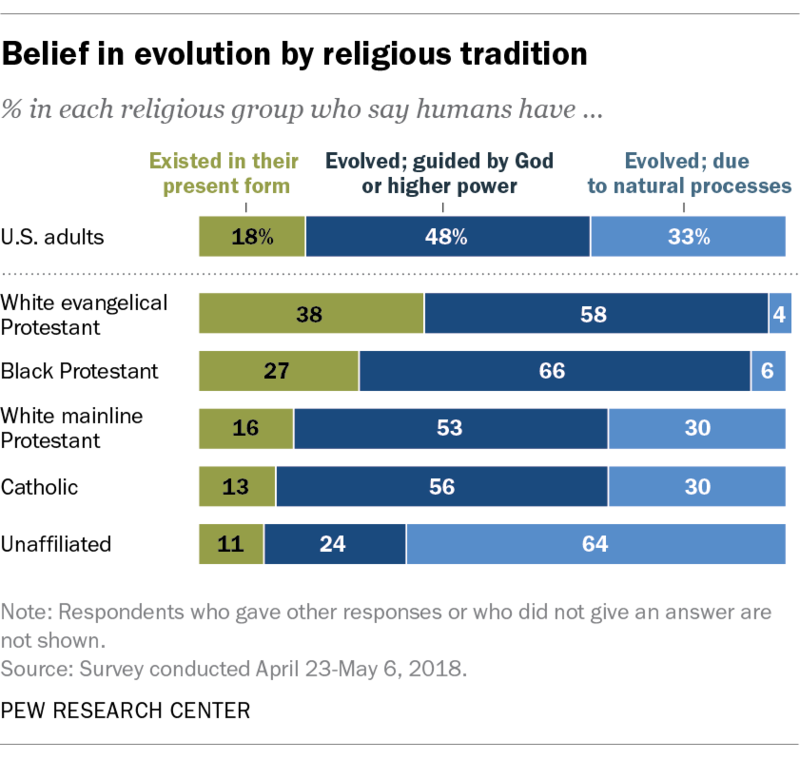 In Edwards v. Aguillard (1987), for instance, the U.S. Supreme Court ruled that a Louisiana law requiring public school students to learn both evolution and creation science violated the Constitution’s prohibition on the establishment of religion.